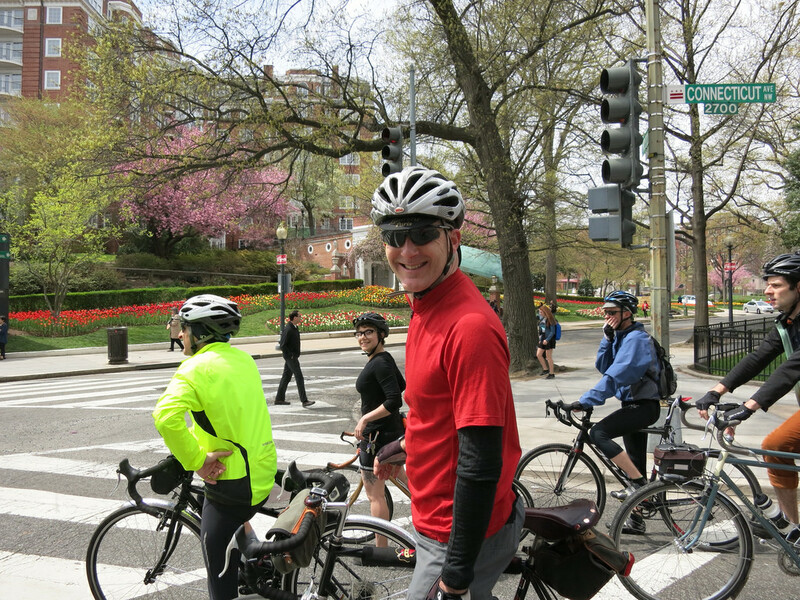 Over the past week I’ve been thinking about our #bikeDC friend, Alex Baca, who has left D.C. (for now, at least) for a new opportunity San Francisco. As part of Alex’s farewell activities, of which there appeared to be several, some of us coordinated an “Alex Baca Farewell Tour.” The weather even cooperated to bring us ideal temperatures and sun the day of the ride. Thanks, weather! While the Farewell Tour was originally conceptualized as a century, the reality of preparing for a coast-to-coast move and coordinating people’s weekend schedules abbreviated our plan to a 35-mile conversational group meander along Beach Drive. 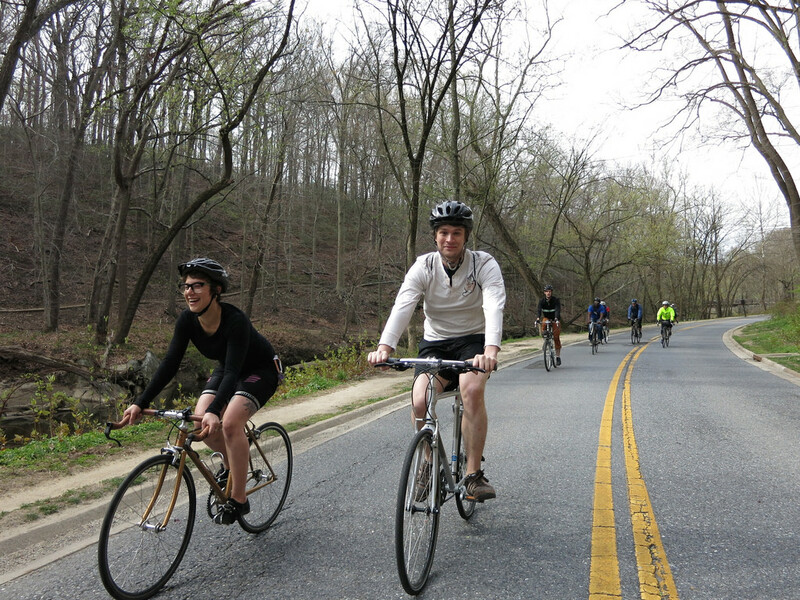 To ensure the Alex Baca Farewell Tour included a hallmark #bikeDC moment, we inserted the infamous climb from Peirce Mill up Tilden Street to Connecticut. “Everyone’s favorite,” as MrTinDC described it. Tilden is about 1/2 mile in length and varies from an 8 percent grade up to 20. I’m telling you, Tilden is a real hill. It was not part of our original plan, but someone mentioned it in passing it at the beginning of our ride, and after that the climb loomed large in all of our minds. After leaving Beach Drive, we came to the intersection of Peirce Mill and Tilden street, and all of us looked at each other expectantly. What next? Alex, riding her Wabi single speed, said she now viewed a climb up Tilden as a personal challenge. And with that we all took off, Alex leading the way. 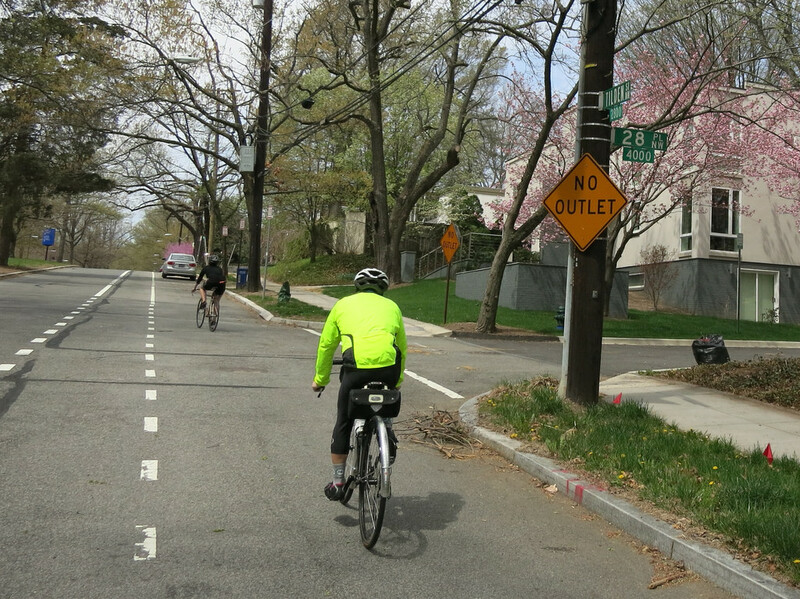 Up and up and up we went, grinding our way over Tilden’s challenging grade to eventually intersect with Connecticut Avenue. Alex climbed steadily and strong. 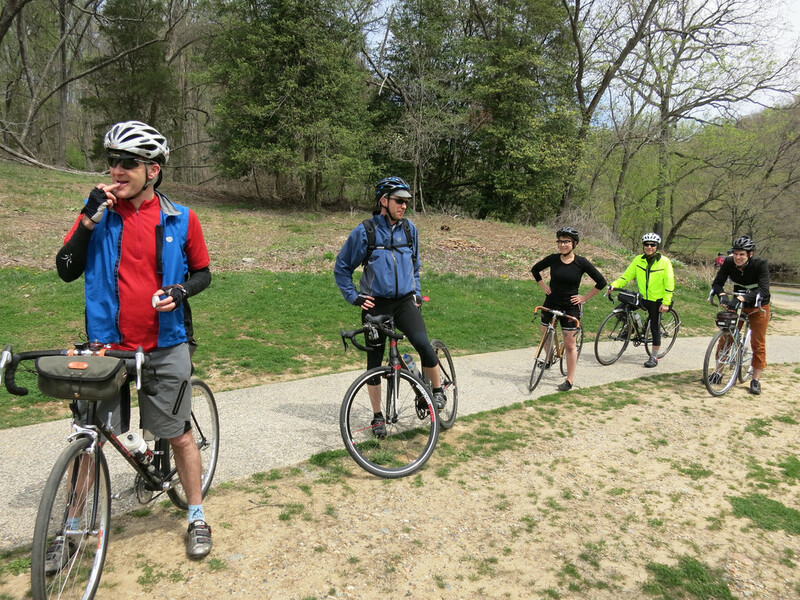 We regrouped at the top of Tilden and sauntered down Connecticut to Dupont Circle for lunch. 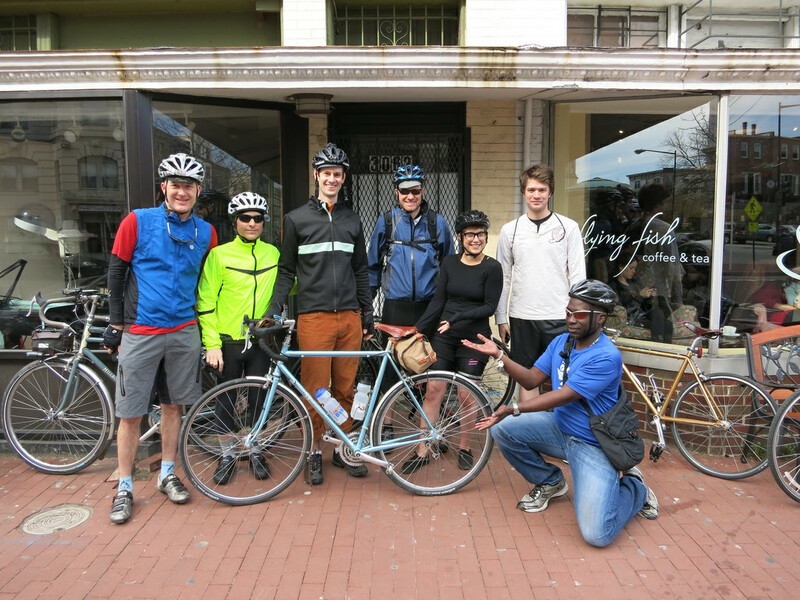 It was a lovely day, and I am so glad that Alex was able to spend a few of the remaining hours before her big San Francisco move with the #bikeDC crew. I followed Alex’s tweets this week as she drove across the country listening to the ultimate cross-country playlist, and passed through state after state. It’s so beautiful here. Why would anyone ever leave? We’ll miss you, Alex. Wishing you all good things in San Francisco, and we’re ready to climb Tilden again whenever you return for a visit.